iPhone 7 vs iPhone 6(Plus) vs Samsung S6 Comparison Design Display Camera etc. News from KGI: iPhone sales in 2016 could be lower than 2014 iPhone 6 (Plus) as iPhone 7 has no 'attractive' updates. Will it be true? How could iPhone 7 lure iPhone 6/6s users upgrade to iPhone 7 or Android Samsung users to iOS iPhone 7? This might be a big challenge for both Apple and the coming iPhone 7. Now let's see if iPhone 7 has the potential to be the king of the best mobile phones in 2016, compared with 2014 best selling iPhone 6 Plus and Android No.1 smartphone Galaxy S6. Updated: iPhone 7, iPhone 6s and Samsung S6 are not top choices any more. iPhone X, iPhone 8/8 Plus are big hits from Apple, check more details on iPhone 8 vs Samsung Galaxy S8, iPhone X vs Samsung Galaxy S8, iPhone X pros and cons. iNo matter how different the three models are, they all have an advantage in common: all are ideal to watch crisp videos on, with the Retina HD display. Whenever you want to add some video contents to your iPhone, you don't need to go for iTunes anymore. Instead, these strong iPhone manager like MacX MediaTrans will transfer your local 4K/HD 1080p/720p videos in perfect formats, sizes and resolutions your iOS devices accept on the fly. Besides, the iPhone manager also helps to backup & transfer live photos, pictures, music, audio, playlists etc from iPhone to Mac/PC and vice versa. iPhone 6 (Plus) vs Samsung Galaxy S6, these two flagship phones make essential improvement in design, iPhone 6 and 6 Plus become the biggest iPhone ever with enhanced fingerprint sensor (Touch ID) and elegant look. Samsung Galaxy S6 is refreshed in material this time, from plastic to metal, turning into a top-end Android phone. Wireless charging is a plus. iPhone 7 vs iPhone 6 (Plus) vs Samsung S6 war begins again. 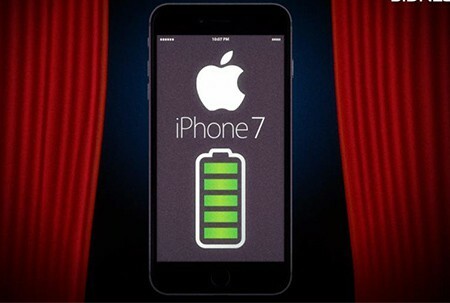 iPhone 7 is scheduled to be launched on September 16. 4.7-inch iPhone 7 is not much different nor thinner than iPhone 6, except no 3.5mm headphone jack for iPhone 7. iPhone 7/Plus is expected to left all the best phones in 2015 ever from Apple Samsung HTC Sony behind. Note: If you'd like to stick with iPhone 6 but enjoy the new iOS 10 features, check the iOS 10 update guide. Or update to iOS 11 from iOS 10/9. 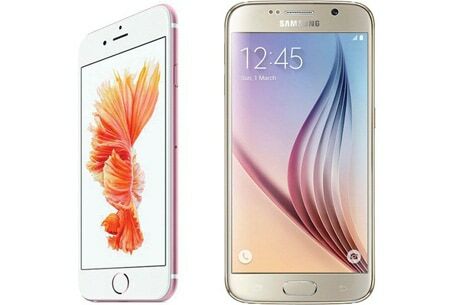 In iPhone 7 iPhone 6 Samsung S6 comparison, obviously, it is iPhone 7 that finally wins out. Since iPhone 6's 4.7-inch screen size is users' favorite and iPhone 6 Plus is too big, iPhone 7 is suggested to continue the size. iPhone 7 vs iPhone 6 (Plus) vs Samsung S6, iPhone 7 continues iPhone 6' Retina HD display of 1334×750 pixel resolution at 326 ppi, but of 3D Touch. In the iPhone 7 vs Galaxy S6 display battle, I'm afraid the latter has no way to survive. But Samsung still stand a chance in iPhone 7 vs Samsung Galaxy S7. Unlike Samsung Galaxy S6 vs HTC One M9 vs iPhone 6 (Plus) war, there's more exciting to talk about iPhone 7 6 (Plus) and Samsung S6 comparison in camera, because iPhone 7 Plus features much better camera this time-dual camera (3D camera). iPhone 6 and iPhone Plus adopt OIS technology (Optimal Image Stabilization), which is the greatest enhancement in camera shooting. As iPhone 6 Plus vs Samsung Galaxy S6 in camera, Samsung S6 edge+ is more suitable for colorful objects, while iPhone 6/Plus stand out for low-light environment. In terms of camera, iPhone 7 featuring 12 megapixel camera will impress us with its ability to stay focused on fast moving objects, HDR for high resolution images, and even shooting 4K (3840 X 2160) video at 30 fps. In iPhone 7 iPhone 6 Samsung Galaxy S6 comparison, iPhone 7 Plus and are big winners thanks to the iPhone 7 pros with dual-camera of wide-angle and telephoto. We still remember non-removable Li-P battery, one of the top disadvantages of iPhone 6. Battery matters a lot in the war of iPhone 7 vs iPhone 6 (Plus) vs Samsung S6. No doubt that iPhone 6 Plus doesn't have any advantages in the iPhone 6 Plus vs Samsung Galaxy S6 battle, because of iPhone 6 Plus over-sized screen, but the fact is that iPhone 6 Plus can last 14-hour video playback, 80-hour music playback, compared with Galaxy S6/Edge' 13 and 49. Apple 6 vs Galaxy S6, it shows no distinct differences, though. iPhone 7/Plus vs Galaxy S6 vs iPhone 6 (Plus), Apple announced that iPhone 7 will have up to 2 hours longer battery life than iPhone 6s; while iPhone 7 Plus will stay 1 hour more than iPhone 6s Plus. Thus, iPhone 7 users can have up to 10 days for stand-by, 13 hours for video playback and 40 hours for music play. If you wanna view media files longer, you can consider to upgrade to iPhone 8 with rumored 2700 mAh battery life. What we are really interested in the iPhone 7 iPhone 6 Samsung S6 comparison battle is the new features added into iPhone 7/Plus, and whether it is worth the money to switch your iPhone 6 or Galaxy 6 to iPhone 7. Check out the stunning new features iPhone 7 bring us. No headphone jack for iPhone 7: Apple will remove the tranditional 3.5-mm headphone jack from iPhone 7 and iPhone 7 Plus. It means that you are only allowed to use earphones with the help of Lifhtning Connector. Or else, you are more suggested to buy AirPods at $159, which help you enjoy music, videos more convenient. But I have to say that Airpods, as one of the biggest releases on 2016 Apple Event, is a little bit expensive and easy-to-lose indeed. iPhone 7/6s vs iPhone 6 (Plus) vs Samsung S6 - Camera: A 12MP camera that can shoot 4K video at 30 FPS and 7MP FaceTime camera that is able to use the entire screen as a flash. What's better, the dual camera and 3D camera will be applied to iPhone 7 Plus for photo buffs for even higher picture capture needs. In the iPhone 7 iPhone 6 Samsung S6 (edge+) comparison, iPhone 7 also brings us other surprises, like nvoice-activated Siri, 256GB bigger internal storage capacity, new A10 Fusion chip with enhanced CPU performance, splash, water, and dust resistant, Li-Fi tech, etc. Know more about iPhone 7 advantages and disadvantages. Samsung Galaxy Note 5/7 VS iPhone 7, which is better? Comparison between Samsung Galaxy Note 5/7 and iPhone 7 design, screen, camera, battery etc. reveals Samsung galaxy note 5 iPhone 7 major differences. MacX MediaTrans is an all-in-one media manager for iPhone 7 and iOS devices to transfer photos, pictures, music, videos etc between computer and iOS iPhone iPad iPod devices.